ST. JOSEPH, Mich., March 9, 2017 /3BL Media/— Shannon Sigmund likes to talk about women’s rights and is the first to explain that feminism isn’t just for one gender. The St. Joseph resident was among the dozens of women who gathered at Plank’s Tavern on the Water on Wednesday to take part in Tennies & Toasts. 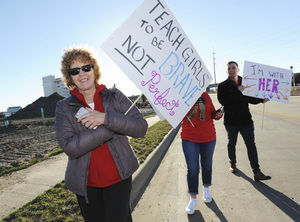 The public event was put on by the Women’s Network, a Whirlpool Corp. employee resource group, as a way to celebrate women and raise funds for 100 Women Strong. Continue reading on the Herald Palladium.